Wolf Commercial Real Estate is a premier Marlton commercial real estate brokerage firm that specializes in representing Marlton medical space for buyers, sellers, owners and tenants. We are experts in Marlton commercial real estate listings and services. The experienced team at our Marlton commercial real estate brokerage firm helps clients and prospects attain their real estate goals by providing them with ongoing detailed information about available medical space in Marlton. At Wolf Commercial Real Estate, a leading Marlton commercial real estate broker, our Marlton commercial real estate services encompass the highest levels of service and proven expertise. As the foremost Marlton commercial real estate broker, Wolf Commercial Real Estate helps owners sell and/or lease their medical space in Marlton through a defined marketing process that is tailored for each property. This proven marketing strategy efficiently matches buyers and tenants with available Marlton medical space. For clients planning to buy or lease new medical space in Marlton, the team at our Marlton commercial real estate brokerage firm assists by identifying the Marlton medical space that is the best choice for their needs. Our Marlton commercial real estate experts ensure that the sale or lease terms for the new medical space in Marlton support our clients’ commercial real estate goals. For more information about Marlton medical space for sale or lease, please contact the team at Wolf Commercial Real Estate, the premier Marlton commercial real estate broker. This article explores the top five objectives for independently-owned medical practices in 2016 it was written for Wolf Commercial Real Estate by By Marcin Bielecki, Vice President of Healthcare Practice Lending at Citizens Bank. 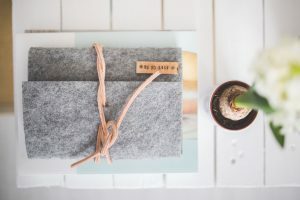 motivations, a desire to help others, a passion for science, or both, those who go on to become independent practitioners must realize they are also running a business – and learn to manage it accordingly. To stay on top of key industry trends and concerns, Citizens commissioned the 2016 Healthcare Practice Outlook. Based on a survey of more than 250 privately-held practices with fewer than ten physicians, the report offers an inside look on smaller practices. Most importantly, it identifies the top five business objectives that practice leaders will prioritize in the year ahead. Medicine should be a booming business given the nation’s aging population and dwindling numbers of uninsured. In reality, a third of the medical practices we surveyed anticipate a decrease in revenues over the next five years. Fighting that trend has understandably become a top priority among smaller practices. Since few small practices have the inclination to pursue practice acquisition opportunities, increasing the number of patients is seen as the most effective way to boost revenue, followed by providing more specialized services. Although a seemingly simple solution, many doctors are ambivalent about seeing more patients, since it decreases time spent with each patient and threatens to diminish the quality of care. Revenue growth isn’t enough: profit margins also need to improve. Half of our respondents anticipate a decrease in profitability over the next five years, and expect tighter margins to force hard decisions about managing their practices. Two-thirds attribute their margin challenges to the shift to cheaper insurance plans by employers and patients, leading to lower reimbursements and an increase in procedures deemed not reimbursable. Though Washington temporarily fixed Medicare’s troubled physician payment formula,2 reimbursement challenges will continue. As a result, any lasting fix to tight margins will likely involve cutting costs. But streamlining operations is a big job – for example, practices must ensure they are staffed prudently and have sufficient inventory to support the services they provide. It remains to be seen how effectively they will be able to manage this task. Our most revealing finding: 46% of respondents named “staying in business” as one of their top three objectives for 2016. This sentiment was especially strong among practices with four or more physicians, as well as those that have been in business for over 30 years. How can so many longstanding members of a revered profession worry about staying in business? Practices cite a variety of external factors – from government mandates such as electronic records and ICD-10 to shrinking reimbursements. 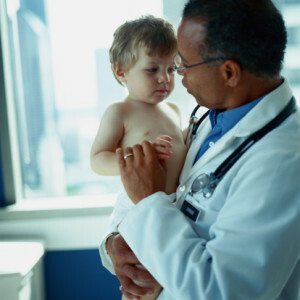 In the short run, practices may be getting a temporary reprieve from some of the threats they face; for example, Congress voted to delay the scheduled 21% decrease in Medicare reimbursements.3 However, these short-term fixes still leave many doctors wondering about the future long-term sustainability of their practices. Forty-two percent of respondents said patient acquisition was one of their top objectives for 2016. Adding patients is important for any practice looking to grow revenue, but it’s especially critical for smaller and newer groups. Interestingly, almost 60% of practices are confident that their acquisition efforts will succeed. It’s not entirely clear, however, whether that confidence is justified since few medical practices surveyed have extensive marketing experience. Almost all medical practices still market themselves primarily through old-fashioned word of mouth. Only half have a website, and merely a quarter are using social media. About one-third also employ traditional media to build awareness, like advertising in local publications and participating in community events. Nonetheless, there’s still plenty of skepticism about the value of marketing. Forty-five percent of respondents don’t believe it’s a worthwhile effort, despite the fact that many new patients who are part of the Millennial generation rely upon websites and social media to seek out their healthcare providers. Rounding out the top five business objectives for small practices in 2016 is staff recruitment. Practices are looking to hire to support patient growth, but to also meet the expanding list of regulatory obligations. The job market was robust in 2015 and demand for talent will continue to rise in outpatient facilities, as delivery of care continues to shift away from hospitals and inpatient settings.4 Hiring is not an easy task, and it’s the area where medical practices say they’ll need the greatest support moving forward. Our team of HealthCare Specialists offers tailored and comprehensive financial solutions to help you, your employees and your practice succeed. Backed by the power of a leading financial services provider, we know our clients well, respond quickly and provide solutions to help you achieve the potential of your practice. Offering both healthcare industry insight and an understanding of the unique needs of medical practices, our HealthCare Specialists know what it takes to achieve financial success, at every stage of your practice. For more information, please visit businessbankinghealthcare.com. I wanted to take this opportunity to wish you the best for 2016 and share a little about the Citizens Bank Healthcare Practice with you. Many in the medical field are not aware that Citizens has a dedicated line of business to help you with your financial goals for your practice: Healthcare Entities are a top priority for Citizens. • Healthcare Business Lines of Credit, Commercial Real Estate Loans as well as partner buy-in’s/buy-outs, practice acquisition and expansion loans to fit your needs. • Flexible financing for equipment, leasehold improvements and ancillary business ventures. • Work place banking for your staff to include special financial services at no cost to you. I welcome the opportunity to discuss our program further. 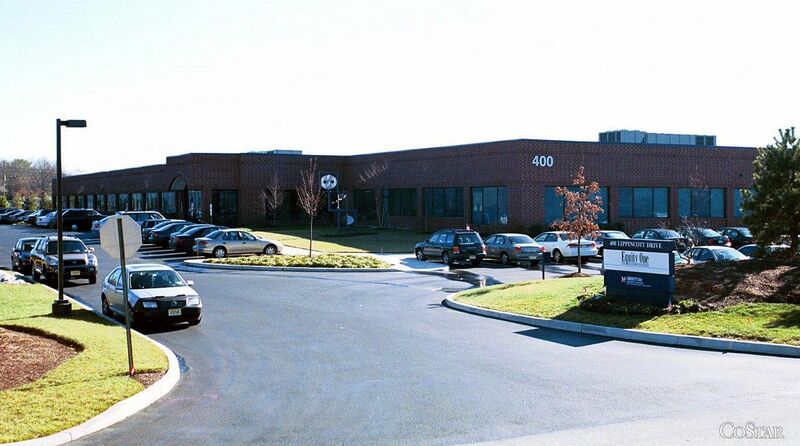 Wolf Commercial Real Estate, a leading Marlton commercial real estate brokerage firm with expertise in Marlton commercial real estate listings and services, now has available Marlton medical space for lease at 542 Lippincott Drive Marlton NJ. This Marlton professional medical space for lease is a turn-key suite that is great for any professional or medical use. This Marlton professional medical building for lease has 1,950 sf on a single floor. The asking lease price for this professional medical space in Marlton at 542 Lippincott Drive Marlton NJ is $21.00 sf modified gross. This Marlton professional medical space for lease is available for immediate occupancy through Wolf Commercial Real Estate, a Marlton commercial real estate broker that specializes in Marlton commercial real estate listings and services. This Marlton professional medical building for lease offers three examination rooms and there also are two private offices at this Marlton medical building for lease. There also is a large conference room, a waiting room, and a kitchen available at this Marlton medical space for lease. This professional medical space in Marlton is being offered for lease by Wolf Commercial Real Estate, a Marlton commercial real estate brokerage firm with expertise in Marlton commercial real estate listings and services. This professional medical space in Marlton sits just off Route 73 and is across from the Promenade Shopping Plaza. In addition, this professional medical building in Marlton is near the Marlton Crossing Shopping Center. It is just a short distance to both I-295 and the New Jersey Turnpike from this Marlton medical building for lease. There is abundant parking at this Marlton professional medical space for lease at 542 Lippincott Drive Marlton NJ. This Marlton professional medical building for lease has building signage and there’s also suite signage available at this professional medical building in Marlton. More than 160,000 residents live within a five-mile radius of this Marlton medical building for lease. The average household income within the same five-mile radius of this professional medical building in Marlton is nearly $116,000. For more information about this Marlton medical space for lease at 542 Lippincott Drive Marlton NJ or about any other Marlton commercial properties for lease, please contact Ryan Barikian (856-857-6307; ryan.barikian@wolfcre.com) or Christopher Henderson (856-857-6337; chris.henderson@wolfcre.com) at Wolf Commercial Real Estate, a Marlton commercial real estate broker with expertise in Marlton commercial real estate listings and services. Wolf Commercial Real Estate, a full-service CORFAC International brokerage and advisory firm, is a premier Marlton commercial real estate broker that provides a full range of Marlton commercial real estate listings and services, property management services, and marketing commercial offices, medical properties, industrial properties, land properties, retail buildings and other Marlton commercial properties for buyers, tenants, investors and sellers. Please visit our websites for a full listing of Marlton commercial properties for lease or lease through our Marlton commercial real estate brokerage firm. 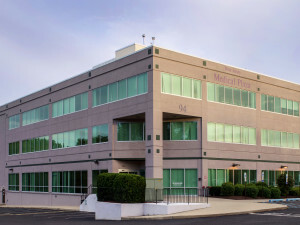 Wolf Commercial Real Estate, a leading Marlton commercial real estate brokerage firm with expertise in Marlton commercial real estate listings and services, now has available premiere Marlton medical space for lease at 542 Lippincott Drive Marlton NJ. This Marlton medical office space is located directly across Route 73 from the Promenade Shopping Plaza and this Marlton medical space for lease at 542 Lippincott Drive Marlton NJ also is near the Marlton Crossing Shopping Center. There are +/- 1,950 sf of medical space in Marlton available in this Marlton medical office building for lease through Wolf Commercial Real Estate, a Marlton commercial real estate broker. This Marlton medical space for lease is a turn-key medical suite with three patient exam rooms and two private offices. There’s also a conference room, waiting room, and kitchen at this Marlton medical office building for lease. The asking lease price for this medical space in Marlton is $21.00/sf modified gross. This Marlton medical office space for lease is available for immediate occupancy through Wolf Commercial Real Estate, a Marlton commercial real estate brokerage firm that specializes in Marlton commercial real estate listings and services. This Marlton medical space for lease is a short distance to both I-295 and the New Jersey Turnpike. There are both building and suite signage available at this medical space in Marlton at 542 Lippincott Drive Marlton NJ. 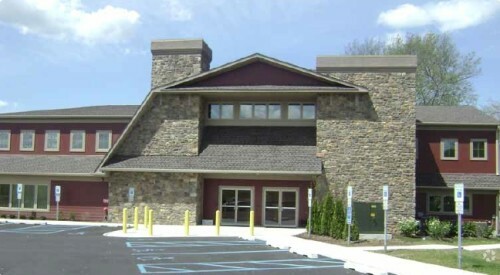 In addition, this Marlton medical office has ample on-site parking. For more information about this Marlton medical office space for lease at 542 Lippincott Drive Marlton NJ, or about any other Marlton commercial properties for lease contact Ryan J. Barikian (856-857-6307; ryan.barikian@wolfcre.com) at Wolf Commercial Real Estate, a leading Marlton commercial real estate broker. Wolf Commercial Real Estate, a full-service CORFAC International brokerage and advisory firm, is a premier Marlton commercial real estate broker that provides a full range of Marlton commercial real estate listings and services, property management services, and marketing commercial offices, medical properties, industrial properties, land properties, retail buildings and other Marlton commercial properties for buyers, tenants, investors and sellers. Please visit our websites for a full listing of Marlton commercial properties for lease or sale through our Marlton commercial real estate brokerage firm. In today’s political environment, the idea of simplifying our nation’s tax code has become a stated goal of both Republicans and Democrats. Despite some differences between the parties, in general a consensus has developed that lower tax rates, particularly for corporations that have to compete internationally, and a broadening of the tax base by eliminating specific industry preferences would lead to greater economic growth and an increase in jobs. Tax reform is extremely difficult to enact in the US. The tax reform policies put forth by the current administration would put undue stress on US importers while still favoring exporters. Without the proposed reform the government will need to come up with new funding strategies to lower taxes and lead to greater challenges in tax reform. 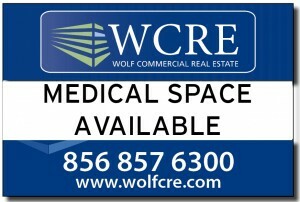 Wolf Commercial Real Estate, the foremost Marlton commercial real estate brokerage firm that specializes in Marlton commercial real estate listings and services, is now offering leasing opportunities for prime Marlton medical space for lease at in the West Jersey Office Plaza at 94 Brick Road Marlton NJ. Located in the center of one of South Jersey’s key commerce centers, this exceptionally well-maintained Marlton medical office building for lease is ideal for a wide range of professional medical uses. This Marlton medical office space for lease also is conveniently located in close proximity to the area’s major medical facilities, including a hospital and a multiplex rehabilitation facility. Suites ranging in size from 1,500 square feet to 38,785 square feet (divisible) are now available at this Marlton medical building for lease at in the West Jersey Office Plaza at 94 Brick Road Marlton NJ. The asking lease price for this professional medical space in Marlton is $17.00/sf gross plus electric. This Marlton professional medical space for lease is available for immediate occupancy through Wolf Commercial Real Estate, a Marlton commercial real estate broker with expertise in Marlton commercial real estate listings and services. This Marlton medical building for lease features an excellent window line around the entire building. Building signage is available at this locally owned and managed Marlton medical space for lease in the West Jersey Office Plaza at 94 Brick Road Marlton NJ. This Marlton professional medical space for lease is situated on the grounds of the Virtua West Jersey Health System Marlton Campus, Marlton Rehabilitation Hospital and Weisman Children’s Rehabilitation Hospital, providing direct access to these key medical facilities. There also are numerous retail stores and restaurants located close to this Marlton medical office space for lease. The Promenade at Sagemore, a busy, high-end shopping and dining destination, is situated across Brick Road, just opposite this Marlton medical office building for lease. This Marlton medical building for lease is just south of Route 70 at the intersection of Route 73 and Brick Road. This professional medical space in Marlton can be easily accessed from Routes 73 and 70, I-295, the New Jersey Turnpike and the Atlantic City Expressway. This Marlton medical office building for lease is being offered for immediate lease by Wolf Commercial Real Estate, a Marlton commercial real estate brokerage firm that specializes in Marlton commercial real estate listings and services. With a ratio of 4.00/1,000 sf, parking is abundant at this Marlton professional medical space for lease. A daily average of close to 57,000 vehicles drive through the intersection of Route 73 and Brick Road near the entrance to this Marlton medical office space for lease. 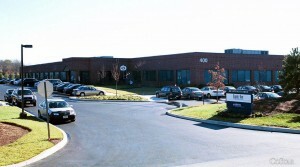 More than 151,500 residents live in a five-mile radius of this professional medical space in Marlton. For more information about this Marlton medical space for lease in the West Jersey Office Plaza at 94 Brick Road Marlton NJ, or about any other Marlton commercial properties for sale or lease, please contact Leor Hemo (856-857-6302; leor.hemo@wolfcre.com) or Christopher Henderson (856-857-6337; chris.henderson@wolfcre.com) at Wolf Commercial Real Estate, a premier Marlton commercial real estate broker. Wolf Commercial Real Estate, a leading Marlton commercial real estate brokerage firm with expertise in Marlton commercial real estate listings and services, now has available premiere Marlton medical space for sale or lease at 975 Tuckerton Road, Marlton NJ. 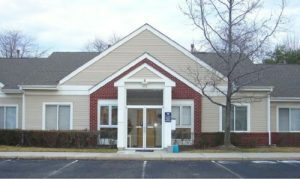 This well-located Marlton medical office space for sale or lease is located on the heavily traveled Tuckerton Road in Marlton NJ. This Marlton medical space for sale or lease at 975 Tuckerton Road, Marlton NJ is directly across from the Evesham Township Municipal Building. There are 2,472 square feet of medical space in Marlton available on the first floor of this Marlton medical office building for sale or lease through Wolf Commercial Real Estate, a Marlton commercial real estate broker and 1,818 square feet on the second floor. This Marlton medical space for sale or lease offers a Tenant Improvement package that is included for both sale and lease. This Marlton medical office building for sale or lease is surrounded by a dense residential population. The asking lease price for this medical space in Marlton is $25.00 sf/Gross plus utilities while the asking sale price is $667,000 for the first floor and $490,000 for the second floor. This Marlton medical office space for sale or lease is available for immediate occupancy through Wolf Commercial Real Estate, a Marlton commercial real estate brokerage firm that specializes in Marlton commercial real estate listings and services. This Marlton medical space for sale or lease is easily accessible from Route 70, Route 73, I-295 and the New Jersey Turnpike. This medical space in Marlton at 975 Tuckerton Road, Marlton NJ also is within close proximity to the new Virtua Voorhees hospital. 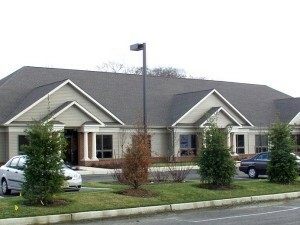 The Promenade at Sagemore also is located near this Marlton medical office building for sale or lease. There are ample parking spaces available at this Marlton medical space for sale or lease at a ratio of 5.75/100 sf. For more information about this Marlton medical office space for sale or lease at 975 Tuckerton Road, Marlton NJ, or about any other Marlton commercial properties for sale or lease contact Christopher Henderson (856-857-6337; chris.henderson@wolfcre.com) or Jason Wolf (856-857-6301; jason.wolf@wolfcre.com) at Wolf Commercial Real Estate, a leading Marlton commercial real estate broker. Wolf Commercial Real Estate is the foremost Marlton commercial real estate broker that provides a full range of Marlton commercial real estate listings and services, marketing commercial offices, medical properties, industrial properties, land properties, retail buildings and other Marlton commercial properties for buyers, tenants, investors and sellers. Please visit our websites for a full listing of Marlton commercial properties for sale or lease through our Marlton commercial real estate brokerage firm. Wolf Commercial Real Estate, a leading Marlton commercial real estate broker that specializes in Marlton commercial real estate listings and services, is now offering prime Marlton medical space for lease in the Elmwood Business Park at 767 East Route 70, Marlton NJ. This well-situated Marlton medical office space for lease is located in a multi-building, garden-style office park. This Marlton medical office building for lease is part of a newly constructed, professionally planned and designed medical/professional suite of offices. This Marlton medical space for lease in the Elmwood Business Park at 767 East Route 70, Marlton NJ offers 3,100 square feet of medical space in Marlton. This Marlton medical office building for lease is available through Wolf Commercial Real Estate, a Marlton commercial real estate brokerage firm. This one-story Marlton medical office space for lease includes eight exam rooms, a lab area, a file room, a break room, a work station are and plentiful natural lighting. There is separately metered gas and electric at this Marlton medical office building for lease. The asking lease price for this medical space in Marlton is $11.00/sf NNN. This Marlton medical space for at 767 East Route 70, Marlton NJ is available for immediate occupancy through Wolf Commercial Real Estate, a Marlton commercial real estat broker that specializes in Marlton commercial real estate listings and services. This Marlton medical office space for lease can be easily accessed from Route 70 and North Elmwood Road. This Marlton medical space for lease in the Elmwood Business Park also is located within close proximity to Virtua Voorhees medical center, as well as to several major roadways, including Route 73, I-295, and the NJ Turnpike. Parking at this medical space in Marlton is abundant. For more information about this Marlton medical space for lease in the Elmwood Business Park at 767 East Route 70, Marlton NJ, or about any other Marlton commercial properties for sale or lease, please contact Christopher Henderson (856-857-6337; chris.henderson@wolfcre.com) or Jason Wolf (856-857-6301; jason.wolf@wolfcre.com) at Wolf Commercial Real Estate, a premier Marlton commercial real estate broker. Wolf Commercial Real Estate is the foremost Marlton commercial real estate brokerage firm that provides a full range of Marlton commercial real estate listings and services, marketing commercial offices, medical properties, industrial properties, land properties, retail buildings and other Marlton commercial properties for buyers, tenants, investors and sellers. Please visit our websites for a full listing of Marlton commercial properties for lease or sale through our Marlton commercial real estate brokerage firm.